Six compounds including five nitrogen - containing compounds and one possible artifact have been isolated from the ethanol extract of Brachystemma calycinum, a folk medicine in Yunnan Province. Their structures were identified as brachystemoside A (1), which was a new compound , together with five known compounds namely methyl L - pyroglutamate (2), adenosine (3), 2 - minaline (4), 3' - furfuryl -pyrrole- 2 - carboxylate (5) and ethyl a - D - glucopyranoside (6) by spectral and chemical means respectively. A new compound walsurol (1), along with known compounds, tocopherol (2), sitoindoside I (3), 3(3 - stigmast -5-en-3-yl-[3-D- xylopyranoside (4), stigmast - 4 - en - 6(3 - ol - 3 - one (5), 7 - oxositosterol (6), 3(3 - hydroxy - 5a, 8a - epidioxyergosta - 6, 22 - diene (7), ( - ) epicatechin (8), and 3,5- dihydroxy - 4 - methoxylphenylethanol (9), were isolated from the EtOH extract from the bark of Walsura yunnanensis C. Y. Wu. Their structures were identified on the basis of spectral methods. Chemical investigation on the seeds of Calophyllum polyanthum Wall. et Choisy (Gutifferae) led to the isolation of two new dihydrocoumarins named calopolyanolide A (1) and B (2) together with known compounds, calanolide E2 (3), voleneol (4) and gallic acid (5). The structures of calopolyanolide A (1) and B (2) are elucidated as 6, 6 - dimethyl - 12a - (2a, 3a - H) - 12a - (2 - methyl - 3 -hydroxybutanoyl) - 8b - hydroxy - 4 - phenyl - pyranodihydrocoumarin (1) and 6, 6 - Dimethyl - 12a -(2a, 3(3 - H) - 12a - (2 - methyl - 3 - hydroxybutanoyl) - 8b - hydroxy - 4 - phenyl -pyranodihydrocoumarin (2) based on their spectroscopic analyses. A roselle cell strain was used to study the relationship between medium peroxidase activity and biomass, and the relationship between medium protein concentration and biomass, respectively. The results showed that the linear relationship between medium peroxidase activity and biomass was not high, but the linear relationship between medium protein concentration and biomass was very high. The biomass of suspension plant cell culture could be calculated through this equation at acceptable accuracy. The methods and results of disease resistance and other resistant abilities of Begonia L. through crossbreeding were reported in this paper. Parents with disease resistance and ornamental value but easily effected by disease were used for crossing. Inbreeding of Fi for two generations in order to stabilize disease resistance property and to achieve ornamental and disease resistance strains. Continuously back crossing could transfer the property of disease resistance to those with ornamental value plants for breeding new cultivars. According to the principle of the properties of parents can be compensated mutually together with using of heterosis of Fi, distant hybridization between different sections, different ecological types and the species with strong resistance abilities were conducted. Six typical combinations and their characters were analyzed based on thirty combinations. The growth capacity of offspring colony, the incidence of disease and the determination of resistant abilities were preliminarily studied and discussed. Tube seedlings of Aloe vera L. were treated with colchicine to from polyploid plants. The results show that the best induction rate could reach 50 after treatment with 0.06 colchcine in 12 hours. By comparing the polyploid plants with normal diploid ones, leaves of polyploid plants were thicker, larger, darker in color, and with larger stomata and less in number. Cytological studies show that the chromosome number of the variant is 28, while the normal diploid plant is 14. It was found that a few induced plants were chimera with diploid cells (2n = 4x = 14) and tetraploid cells (2n = 4x = 28) simultaneously. The effect of three precursors on flavonoids biosynthesis in cell suspension cultures of Saussurea medusa Maxim has been studied. The results show that all these precursors can promote the flavonoids biosynthesis. The optimum time for precursor feeding (OTPF) is the 6th day during the cell culture. L -pheylalanine, cinnamic acid and NaAc have the most significant promoting effect on flavonoids formation at the concentration of 0.1 mmol/L, 0.05 mmol/L and 0.1 mmol/L respectively. Of the three precursors, cinnamic acid is the most effective. The maximum flavonoids production reached 1 801 mg/L, 1.98 times as that of the control. When L - pheylalanine and NaAc were combined to be added, they have a more signifi-cant promoting effect than they were added respectively. The Petunia hybird obtained from genetic engineering technology in 1987, which is the first transgenic flower in the world, indicated that flower breeding was marching into the molecular era. The ge-netic engneering technology have not only changed flower characteristics but also shorten breeding time. Now people understand continuously the regulatory mechanisms of flower colors through genetic engineering ways. Many enzymes and genes related to flower color were obtained. New varieties and hybirds of flowers have been bred through genetic engineering. Problems and perspectives of flower genetic engneering were briefly elucidated. About 0.5 - 1 cm long adventitious root tips (with their plantlets or without) of Tnchosanthes Idr-ilowii were cultured on MS with BA 5 mg/L for 15 days, they produced numerous adventitious buds. By the paraffin - cut section method, the anatomy of adventitious buds formation was studied and the buds differenti-ation can be divided into four phases: (1) Initiation phase (0-3 days). Root meristematic cells and peri-cyclic cells first divided. (2) "The zone of transition from root to shoot " precambium formation phase (4 -6 days). The initiation cells divided and formed two or three near flat layers of cells with smaller volumes, bigger necleuses, and denser cytoplasmises. They connected and formed precambium of the transition zone from root to shoot. (3) "The transition zone from root to shoot" formation phase (7-10 days). The pre-cambium cells continualy divided at different place from the tip and made the root apex to expend, and formed half ball or a ball or shuttle in shape. In the meanwhile, root vascular tissues were transforming to shoot vascular tissues within the expanded district. (4) Buds formation phase (11-15 days). In this present paper, karyomorphologically studies were carried out on nine species within four sections of the genus Primula. The interphase nuclei and prophase chromosomes of these species were ob-served to be the complex chromocenter type and the interstitial type respectively according to Tanaka's cata-logue. The numbers and karyotypes of metaphase chromosomes were formulated to be 2n = 16 = 12m + 4sm for P. monticola (Hand. - Mazz.) Chen et C. M. Hu, 2n= 20= 16m+ 2sm+ 2st for P. vialU Delavay ex Franch., 2n= 22 = 18m + 4sm for P. secundiflora Franch., 2n = 22 = 16m + 6sm for P. poissonU Franch., 2n = 22 = 18m + 4sm for P. beesiana Forr., 2n = 22 = 18m + 4sm for P. buUeyana Forr., 2n = 22= 19m + 2sm + 1st for P. pulvendenta Duthie, 2n = 22 = 16m (Isat) + 6sm for P. awantiaca W. W. Smith et Forr., and 2n = 20 = 14m (Isat) + 4sm + 2T for P. sikkimensis Hook. The present paper reports the chromosome numbers and karyotypes of two species in Sauromatum (Araceae). Their resting nuclei is gradient type, and the prophase chromosome type is interstitial. The karyotypes of metaphase chromosomes in somatic cells are as follows: Sauromatum venosum 2n = 2x = 26 = 14m + 12sm, and Sauromatum gaoligongense 2n = 2x = 26 = 10m + 12sm + 4st. The karyotypes of the latter species are reported here for the first time. A preliminary discussion on the generic status of Sauromatum is also given here. The species in the genus Sauromatum have some special physiological and biological char-acters. Therefore, it needs to be deliberated to merge this genus into Typhonium based on some morphologi-cal similarities between them. It is reasonable to find more evidences from more comprehensive studies on this genus. Based on the evidences from the bulbs and cytology, we consider that Sauromatum and PineUia have close relationship. The pollen grains of Paris L. , TrUlium L., Medeola L. and Scoliopus Torr. in Trilliaceae , and of Lilium L. and Hemerocallis L. in Liliaceae were examined by LM and SEM. The result shows that Paris, Medeola and Scoliopus have pollen characterized by monoanacolpate aperture and foveolate or reticu-late (or compound reticulate) exine sculpture . The genus TrUlium, however, has inaperturate pollen and various exine sculptures including granulate, verrucate, gemmate, starred and spinulate types, but absent of reticulate type. The pollen of Scollops is peculiar in exine sculpture by having compound reticulum supported by many thick ridges. The genera Lilium L. and Hemerocallis L. have pollen of monoanacolpate aperture and very complicated reticulate sculpture, which is similar to that of Paris, Medeola and ScoHopus. There is no obvious difference in exine stratification of pollen grains among 4 genera of Trilliaceae except the genus TrUlium which has a discontinuous foot layer, but the others have continuous and thick foot layer. There is little difference between Trilliaceae and Liliaceae in exine stratification. Pollen gains of 33 species in 21 sections of Acer, together with two species of Dipteronia were observed by light microscope (LM) and scanning electronic microscope (SEM). The shape of pollen grains in this family varies from subspheroidal to prolate in equatorial view and is 3 - lobed circular in the poilar view. The aperture types of both species in Dipteronia are tricolporate. This type can also be found in 4 sec-tions of Acer, but most species in Acer are tricolpate. As for the pollen exine sculpture, both species in Dipteronia and most spcies in Acer are striate, but two sections in Acer are finely striate - reticulatoid or reg-ulate. By the studies of pollen morphology and other evidence, it is inferred that : (1) Sect. Palmata, Sect. Spicata and Sect. Microcarpa may be the closest groups in Acer to Dipteronia; (2) A. distalum and A. nipponicum represent two related monotypic sections; (3) The pollen of A. pseudoplatanus, which is different from other four species in Sect. Acer, is similar to that of A. sacchamm. It therefore indicates that these two species have a close relationship; (4) Sect. Carpinifolia , which has finely striate - reticulatoid exine sculpture, and Sect. Nuclear ribosomal DNA internal transcribed spacer (ITS) regions of Alpinia nigra (Gaertn.) Built and u Alpinia aquatica (Koen.) Rose." from China were directly sequenced using an automated se-quencer. The result showed that both sequences were identical. The size is 178 bp in ITS 1, 232 bp in ITS 2 and 164 bp in 5.8S coding region, G + C content being 56.9 . According to the morphological and DNA characters, it was suggested that " Alpinia aquatica (Koen.) Rose." recorded in Flora of China should be Alpinia nigra (Gaertn.) Burtt. Amplified fragment length polymorphism (AFLP) analysis of 20 wild and 5 cultivated strains of Agaricus bisporus (Lange) Imbach was done in terms of genetic diversity. The genotype destined for 20 wild heterokaryotic strains identified by AFLP fingerprints. Although 5 cultivated strains were almost identical in the AFLP fingerprints, they can be easily distinguished by AFLP markers. Homokaryons isolated from single spore carry some of the AFLP fingerprints of heterokaryon. Most strains of the single spore isolated from the same fruit body are identical with their parental heterokaryon in AFLP fingerprints. UPGMA analysis of the AFLP data reveals two distinct clusters corresponding to their different geographical populations. These re-sults concluded (1) there are some obvious genetic differences among different wild geographical populations; (2) most strains isolated from single spore have the same genetic materials as their parents; (3) the genetic diversity of wild strains is much richer than the cultivated ones; (4) the AFLP fingerprint is an efficient tool and a new technique in genetic studies of A. bisporus. The genus Scleria in Yunnan was revised taxonomically. Twelve species were recognized occur-ring in Yunnan. The scientific names of 5 species were corrected, and one name was reduced to synonym. Two of these 12 species are new records to Yunnan. A key to species, taxonomic treatment and geographic distribution of each species were presented in the paper. Sabina vulgaris has two types of leaves (i.e. spine and scale leaves) . This study examined the differences in structure and function between spine and scale leaves, and hence their ecological significance of change of leaf form in the species, (l) The spine leaves had smaller cuticle thickness, epidermis cell size, mesophyll cell surface area, and vascular bundle size than the scale leaves. (2) Both tissue density and coefficient of water loss were higher in the spine leaves than in the scale leaves. (3) The spine leaves had higher net photosynthesis rate, transpiration rate, and the ratio of substomatal CO2 concentration to atmo-spheric CQz concentration than the scale leaves, but water use efficiency (WUE) was lower in the former than in the latter. Our results suggest that spine leaves had higher photosynthesis product accumulation and water loss than scale leaves, but both resistant - drought and resistant - radiation abilities and WUE were just opposite. Therefore, spine and scale leaves have different structure and function, which allows this species to adapt different environments. The plant species loss, dynamics of tree population as well as speccies compostion were enumer-ated based on the comparative researches of floristic composition, physiognomy and plant diversity on a frag-ment of tropical rain forest isolated more than 30 years in a Dai's holy hill in Xishungbanna, south Yunnan. 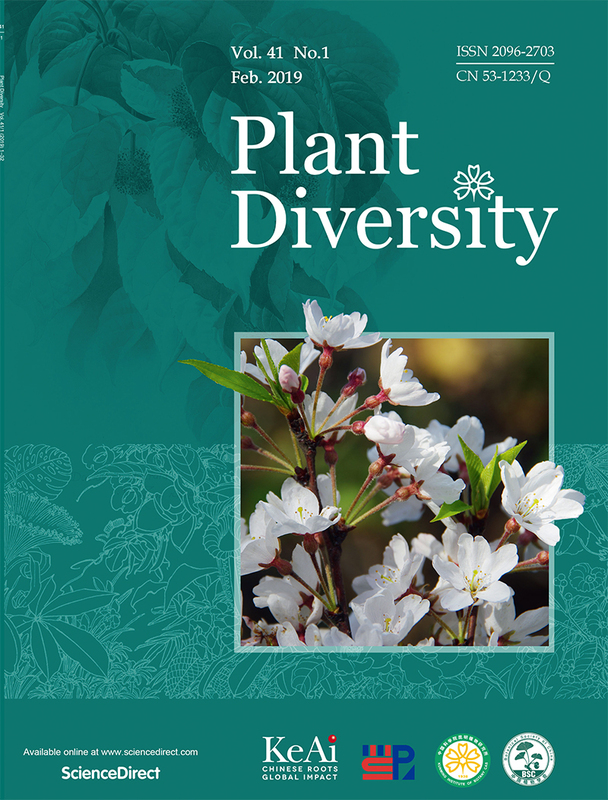 In 1958 - 1959, 246 native seed plant species in 196 genera of 80 families were recorded in the fragment. By this study, 55 species in 53 genera of 7 families have not been recorded in the inventory. Among these possibly lost 55 species, 18 are climax tree species of the tropical rain forest, 30 are shade - tolerant under-storey species, 2 are heliophilic specis and 5 are indifferent species. There are 188 families, 1493 genera, 8711 species and 1252 varieties in Angiosperm flora of Sichuan region, including more than 50% of families in the world, and contacting with its adjacent area flora and the global flora widely and intimately. The richness of relict and endemic compositions shows that the Angiosperm flora in Sichuan is old and primitive. The monotypic or oligotypic families and genera are much abundant in the region meanwhile the families and genera containing more than 100 species are very luxuriant in its flora also. Although the genera with less than 5 species are about 73.80% the genera with 6-99 species, which is about 22.64% of the total genera in the flora are the main composition. The areal - types of families are mainly tropical, but those of genera and species reflect a typically subtropical characteristics. 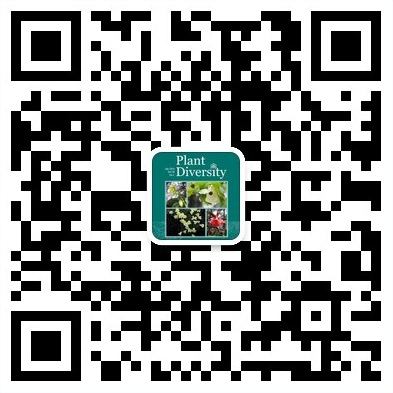 The Angiosperm flora in Sichuan region is characterized by not only obvious dominance pheneomena but also abundant endemic and characteric taxa. It is a representativeness to the ones of China and East - Asia.